Recovery from loss is the result of actions taken within time, but it need not take as much time as you have been led to believe. Recovery is totally individual and there is no absolute time frame. Sometimes in an attempt to conform to other people’s time frames, we do ourselves great harm. This idea leads us to another of the killer clichés, “You should be over it by now.” It is bad enough that well-meaning, well-intentioned friends attack us with killer clichés, but then we start picking on ourselves with grieving quotes like this. We start believing that we are defective or somehow deficient because we haven’t recovered yet. “You have to keep busy.” Many grievers follow this incorrect advice and work two or three jobs. They fill their time with endless tasks and chores. At the end of any given day, asked how they feel, invariably they report that their heart still feels broken; that all they accomplished by staying busy was to get exhausted. With only three basic killer clichés we can severely limit and restrict our ability to participate in effective recovery. It is not only that people around us tell us these bereavement quotes or clichés in an attempt to help, but we ourselves learned and practiced these false beliefs for most of our lives. It is time for us to learn some new and helpful beliefs to assist us in grieving and completing relationships that have ended or changed. I have heard that it takes two years to get over the death of a loved one; five years to get over the death of a parent; and you never get over the death of a child. Part of the problem is the phrase get over. It is more accurate to say that you would never forget a child who had died, anymore than you would ever forget a parent or a loved one. Another part of the problem is that time, of itself, is a recovery action. 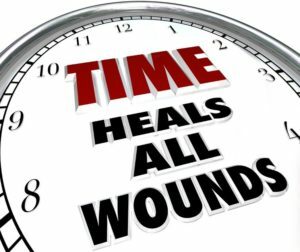 Although recovery from loss does take some time, it is the actions within time that lead to successful recovery. 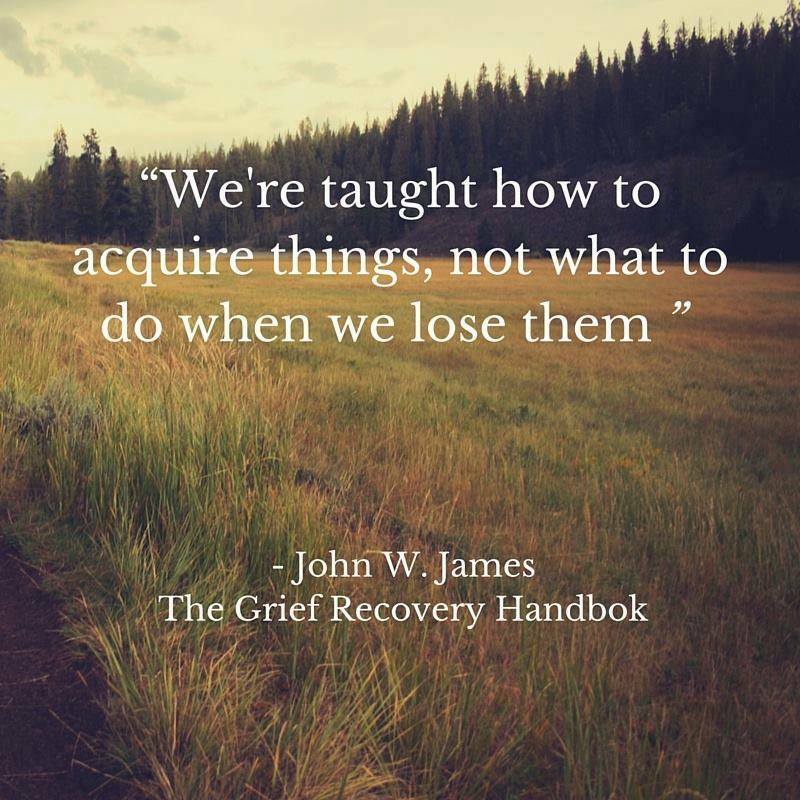 The primary goal of The Grief Recovery Method is to help you grieve and complete relationships that have ended or changed. Using The Grief Recovery Method allows you to have fond memories not turn painful and helps you retake a happy and productive place in your own life. In addition, you regain the ability to begin new relationships, rather than attempting to replace or avoid past relationships. ← Am I paranoid or are people avoiding me?